Posted on January 29, 2014	by Katy K.
Renegade Magic. Kat, Incorrigible Book 2. by Stephanie Burgis. Atheneum Books for Young Readers, 2012. Back to Kat in Regency-era England with more magical mayhem! This book opens as she’s sneaking off to the kitchen with her brother, Charles, for an illicit fencing lesson to blow off steam before her sister’s wedding. In Kat, Incorrigible, Kat managed arrange for her eldest siste to be married to her own true love, instead of to a rich but cruel and much older man. Naturally, this came at the cost of bending some rules and stepping on quite a few toes. Now, all of this catches up with her. The ill-tempered Lady Fotherington, one of the Guardians who has carried her grudge against Kat’s mother over into the present day, arranges for a very large scene to be made in the middle of Elissa’s wedding, by no other person than the mother of Mr. Carlyle, sister Angeline’s sweetheart. Kat’s resulting tantrum in the Hall of the Guardians results in her access to the Hall and the offer of magic lessons being revoked. Now Stepmama has decided that the family should retreat to Bath to ride out this scandal. Angeline has a dangerous plan of her own to make Stepmama allow her to see Mr. Carlyle again. Kat finds both that the head of the Guardians – a man she’s been told by her advisor to avoid at all costs – is in Bath himself, of all places – and that the springs are filled with a dangerous wild magic. 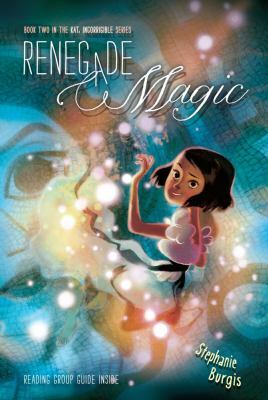 Of course Kat can’t just let things slip – especially when her siblings are in danger – but what can she do when she’s not allowed to use magic herself and everyone thinks she’s telling stories to keep herself out of trouble? Especially when she’s being trailed by Cousin Lucy, who thinks that witchcraft is a charmingly romantic game! Burgis brings early Bath to life with her descriptions of the places and rituals around this high society gathering-place, while Kat is the same irresistibly impetuous heroine I fell for in Kat, Incorrigible. This is such a fun, zingy series, one I’d recommend to fans of fantasy and Austen aged about ten and up. This entry was posted in Books and tagged historical fantasy, Stephanie Burgis, youth fantasy. Bookmark the permalink.